We are proud to introduce our new Alaskan Salmon Infused CBD Pet Tincture! CBD Cannabidiol is one of the main active ingredients in Cannabis but does not have the intoxicating effect of THC. We are proud to introduce our new Alaskan Salmon Infused CBD Pet Tincture! CBD Cannabidiol is one of the main active ingredients in Cannabis but does not have the intoxicating effect of THC. 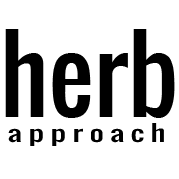 CBD products may help inflammation, pain, anxiety, insomnia, psychosis, seizures, spasms and more without the feelings of lethargy or the “high” associated with THC. Cannalife is an industry leader in cannabis based products. My dog has both his ACL’s gone. He’s an old boy but pain management has been pharmacy controlled until I found Herb approach. I have reduced the Metacam and supplemented with this product. It’s so good he thinks he’s a teenager again.